There is power in live music. It’s relaxing, entertaining, and fun to dance to. 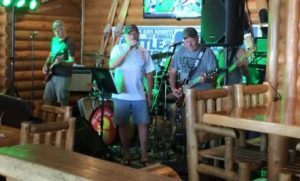 There are many terrific places in Alpena to enjoy that sweet sound; from dive bars, to hip little restaurants, to outdoor festivals. It’s all here, so let’s get it started! 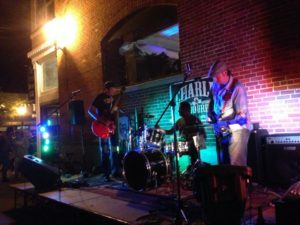 Whether you’re looking for soft dinner music or late night pub jams, here is a list of 8 live music hotspots for your weekend out on the town. Charlie and the Bourbons playing in the Alley next to the Fresh Palate Restaurant. Live music at Sand Bar and Grill on Long Lake. Don’t Miss our Annual Musical Events! 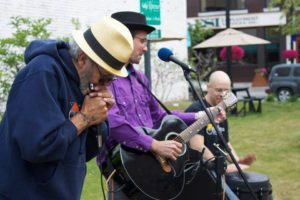 Lee Kitzman and Chris Crown play a set as part of the Downtown Street Performers program that fills the streets with music during the summer months. Let the good times roll with these regular live music performances! 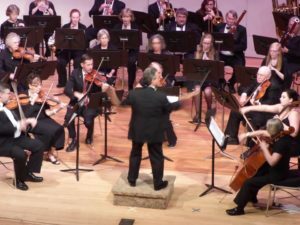 The Alpena Symphony Orchestra has been entertaining audiences for years. Photo courtesy, Susan Cook. 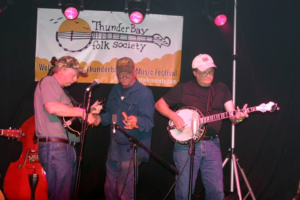 Thunder Bay Folk Festival is an entertaining music event held in Alpena each September.